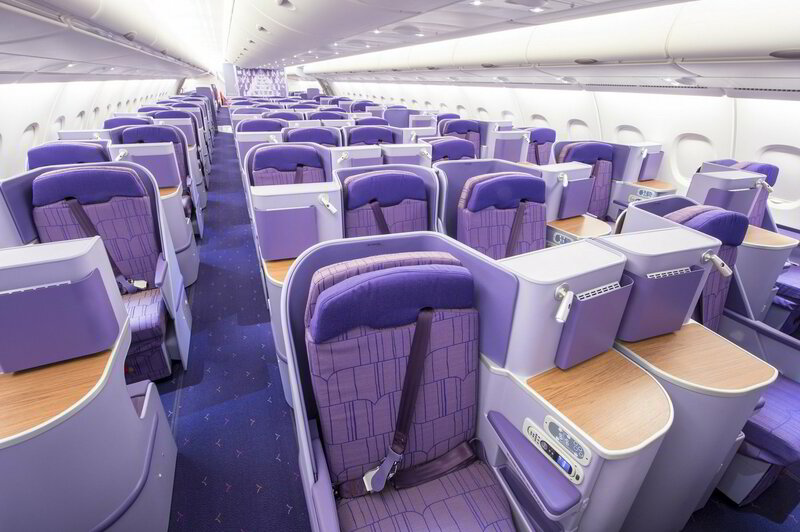 From the moment you step on board, every detail is taken care of. The hosts are on hand to serve you with one of their refreshing beverages. Sip the “Violet Breeze” a blend of chilled lime juice and pressed Thai butterfly-pea blossoms. Though, you may opt to sip on chilled champagne or even one of the fresh tropical juices that are available. Recline in comfort in your reclining chair as the crew provides an impeccable service and take advantage of more than a thousand audio and video selections on demand while on your journey. Whatever your needs, Thai will assure that you will be perfectly equipped to relax or catch up on the world of business. 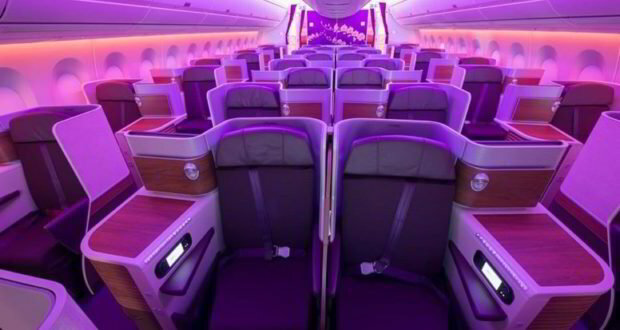 Your reclining chair is your lounge, office and bed in the clouds. 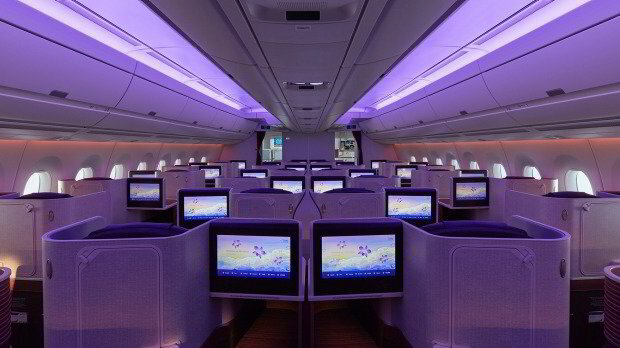 Catering for your diverse needs while in-route to your destination. 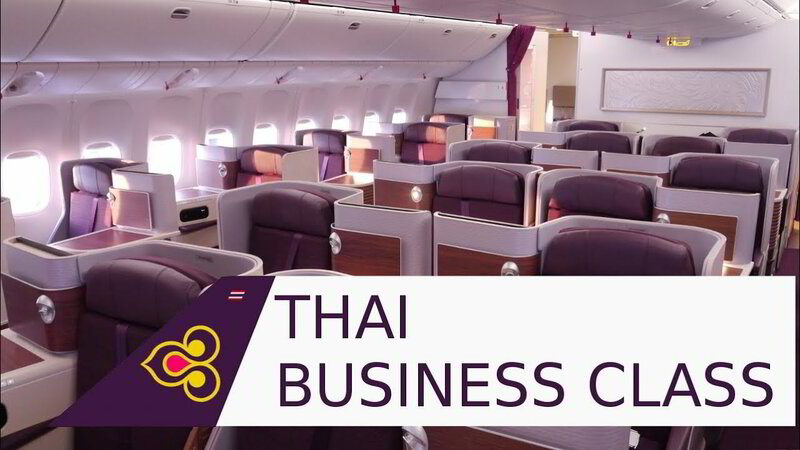 Thai provides a range of amenities throughout the fleet of aircraft, each being continually upgraded with the latest innovations in line with the character of each route. Choose from up to 100 music CDs, movies and TV channels on demand at your fingertips on the 15-16-inch flat screens. PC power points are also available at all seats along with USB ports for all kinds of other devices. 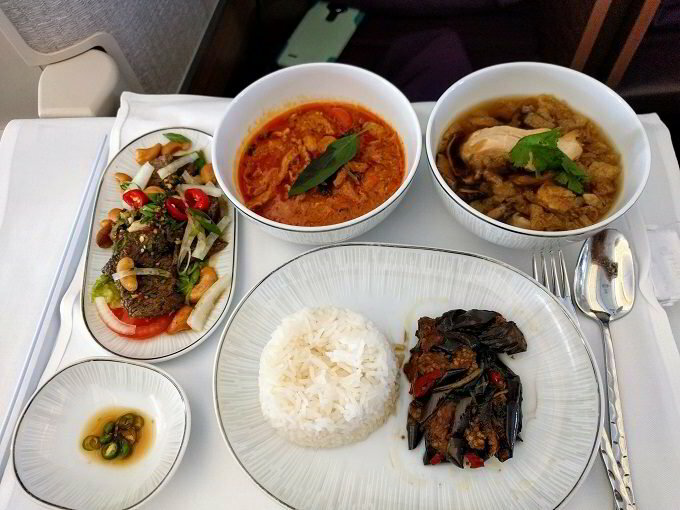 With Royal Silk Class, Thai not only offer their passengers an exemplary award-winning service and meals that will indulge your culinary senses, but also privileged access to the exclusive lounges of THAI and their partner airlines around the world. 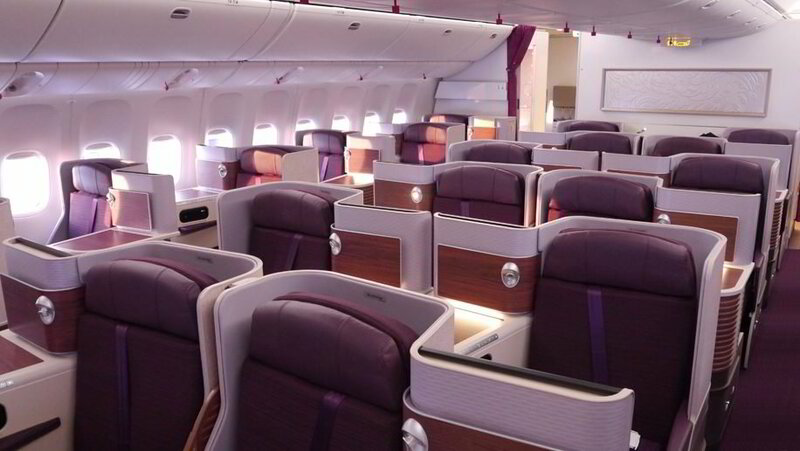 SimplyBusinessClass.com can save you up to 50% off your business class flights with Thai Airways. Call now or submit our flight request form to receive a free quote.